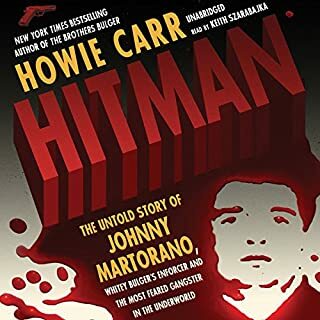 Martin Scorcese’s The Departed barely touched his story, but radio talk show sensation, crime reporter, and Boston Herald columnist, Howie Carr, takes us into the heart of the life of Johnny Martorano. For two decades Martorano struck fear into anyone remotely connected to his world. His partnership with Whitey Bulger and the infamous Winter Hill Gang led to 20 murders for which Johnny would serve only 12 years in prison.